On Friday July 12th 2013 we were at Lingrow Farms in Leechburg Pennsylvania. 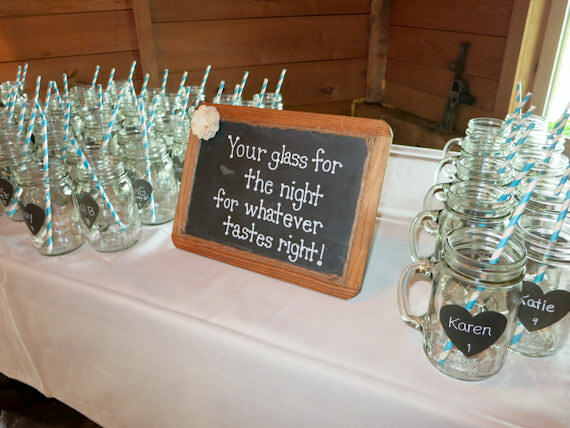 The event was a wedding ceremony and wedding reception for Jeremiah and Rachel Berta. 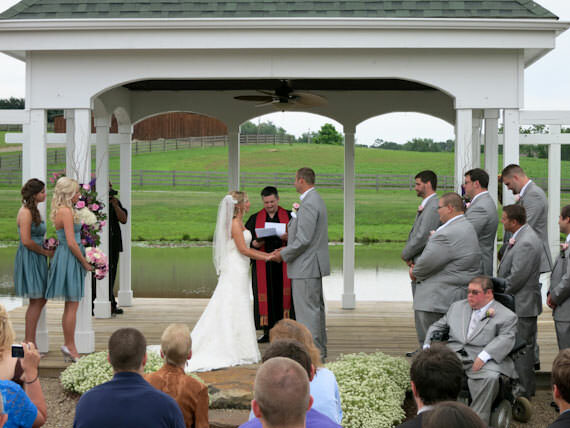 I was very excited to be a part of this beautiful day, since I had the honor of being the DJ for Jeremiah’s sister’s wedding a few weeks ago at the Saltsburg River Hall. 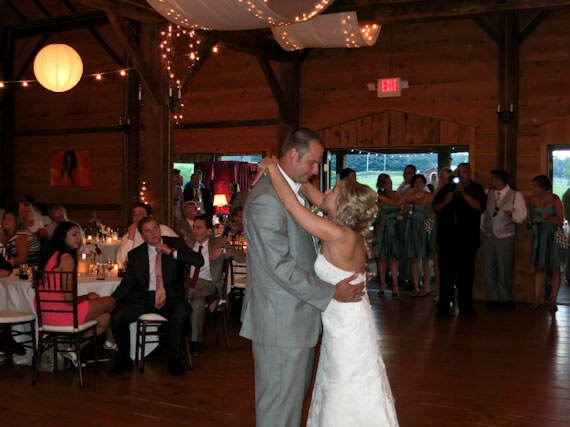 Read about Amanda and David’s Wedding here. 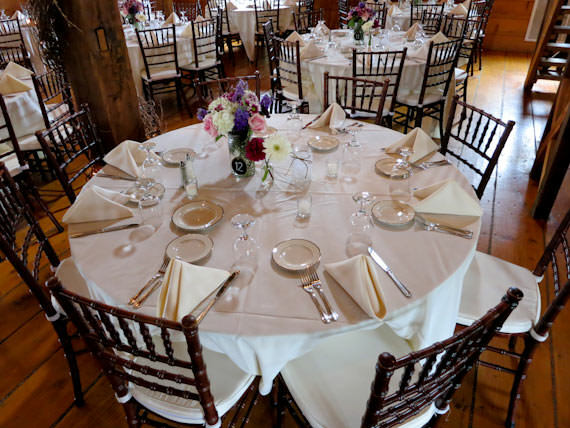 Guests began arriving at Lingrow Farms at 2:30 pm where they assembled in the lower level of the barn while awaiting the start of the wedding ceremony. 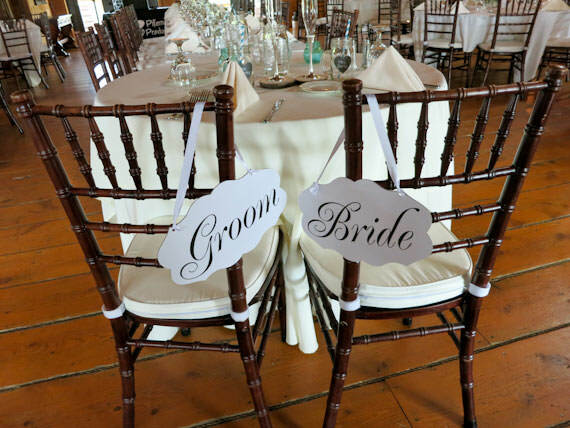 The wedding ceremony was scheduled to start at 3:00 pm, but there was one small hiccup. A few minutes before 3:00 pm the wedding officiant phoned and informed us that he was running late because he had gotten a flat tire. Fortunately, Rachel and Jeremiah had arranged for a string quartet, so the guests listened to live music and mingled as we all awaited the arrival of the officiant. 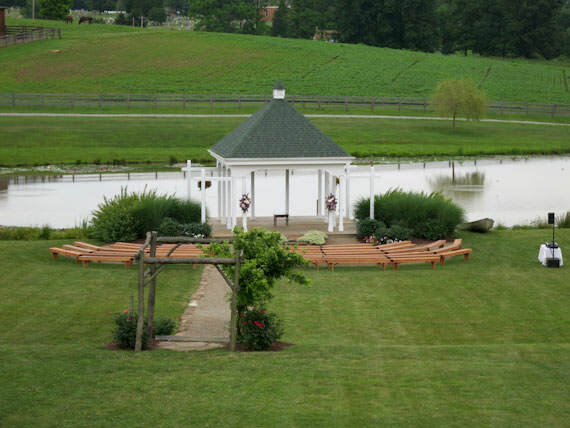 After the arrival of Reverend David Anderson, the guests transitioned down in front of the pond and the wedding ceremony got underway at 4:30 pm. 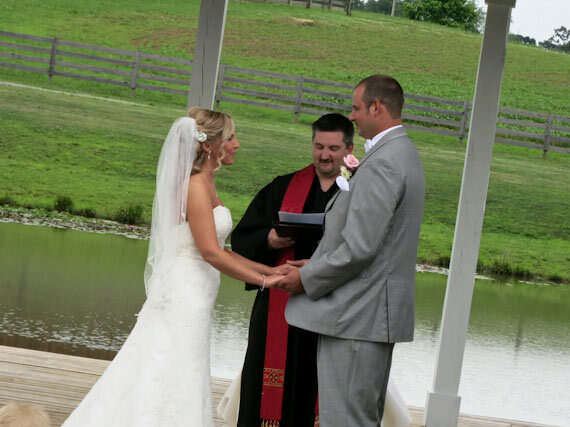 We provided the ceremony music and wireless microphones for the wedding ceremony which lasted approximately 25 minutes. After the ceremony, guests transitioned back to the lower level of the barn where they enjoyed cocktails and appetizers as the bridal party posed for photographs with Loren De Marco of Loren De Marco Photography and Video with Paul and Jeremy of ShoFilms Cinematograhy. 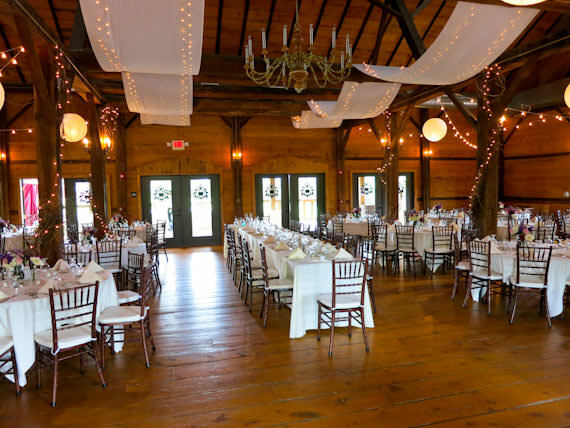 At 6:00 pm guests transitioned to the upper level of the barn and then we formally introduced the bridal party into the ballroom. Dinner was prepared by the culinary staff at Twisted Thistle and was served buffet style. 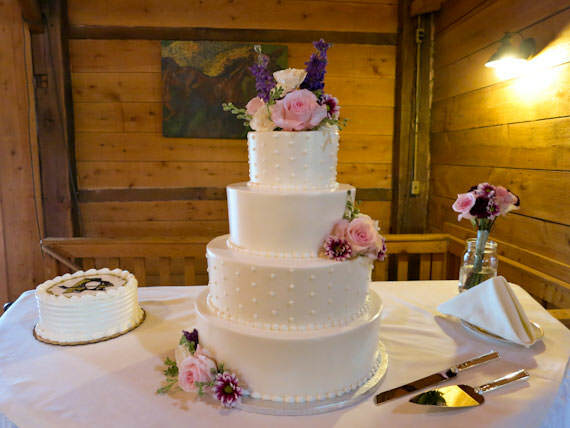 After dinner, Rachel and Jeremiah cut their wedding cake prior to sharing in their first dance together as husband and wife to the song Overwhelmed by Tim McMorris. Throughout the remainder of the evening, guests danced to the sounds of DJ Pifemaster until the wedding reception ended at 10:30 pm. At the conclusion of the reception, all of the guests gathered in front of the barn and provided a spectacular sparkler send-off for Rachel and Jeremiah.